Heart Butte, Montana is located in a remote area of the Blackfeet tribal land. Due to proximity and history, the community has limited resources and services. The life expectancy of a Native American in Montana is similar to that of someone in Sudan, Haiti, or Ethiopia. All of the students enrolled in public schools at Heart Butte are eligible for free and reduced lunch. Approximately 44% of Heart Butte’s population is 18 or younger. *Information from Essential Eats Distributors. Some action shots of the Building Bikes for the Blackfeet project. 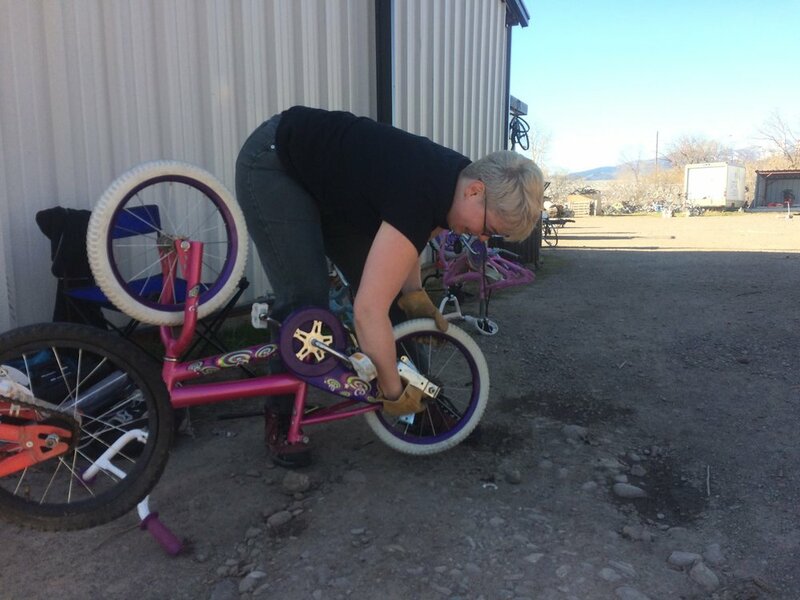 8 hours of fixing kids bikes from over 30 volunteers over two days. Such a good turnout, good teamwork, good food, and good times had by all. 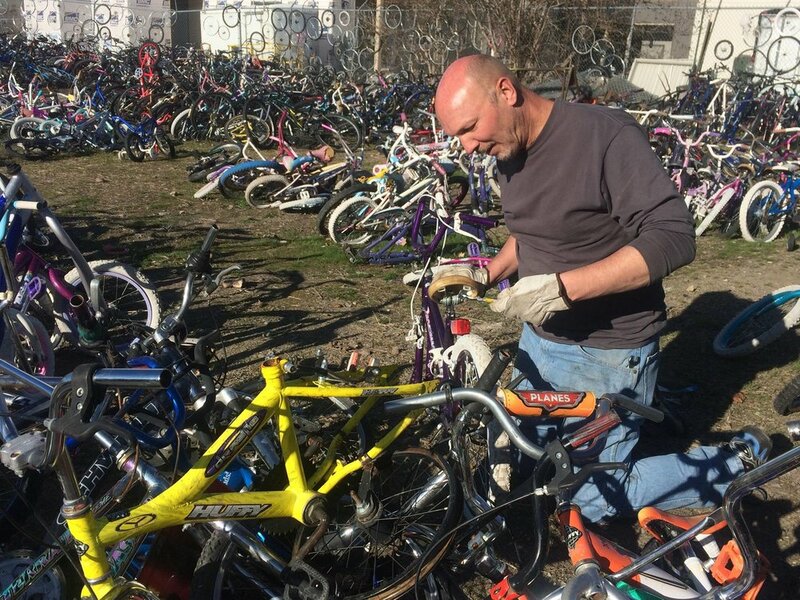 Thank you to all the volunteers who helped fix these bikes, despite any previous knowledge or mechanic experience. 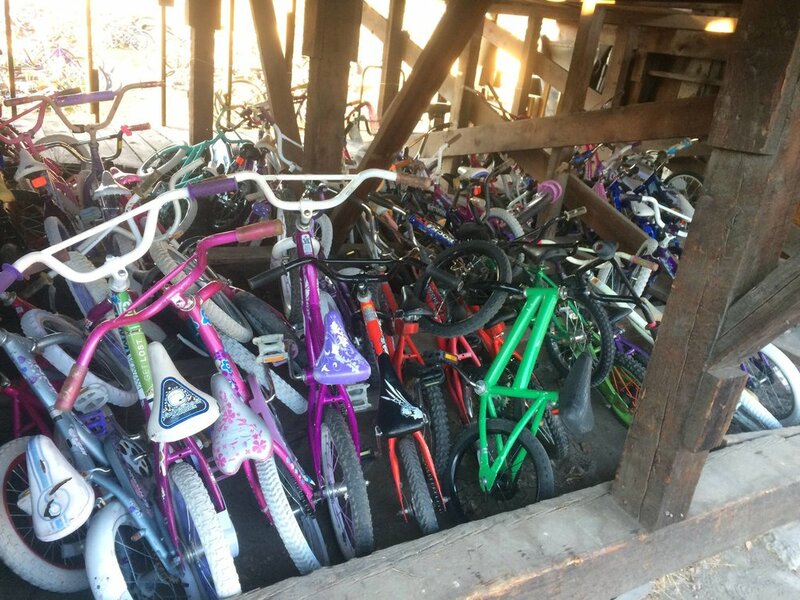 These bikes will provide freedom, joy, exercise and more to kids in need! Special shout out to Essential Eats for helping organize this project and to The Lewellyn Foundation and Scott Miles for funding this project.